I started the month off doing daily Burpees with a push-up. . . 10 of them. I really wanted it to work. A few days in, I started to feel my SI joint. It has been an issue in the past and I want to keep it there! I hate to give up but I thought I would put my ego aside and just change the challenge. Today, I did mountain climbers with a close grip push-up. I am working on keeping the push-ups close grip. They are harder but easier on the shoulders. I felt cranky about doing them. It was 20 degrees and windy outside this morning, but I did them anyway. It was amazing. I felt so great when I finished! Joyful, Happy, Energetic, Enthusiastic, Vibrant and Confident. It is amazing what 4 minutes of intense movement outside can do for you. Would you like to start your day feeling energized, enthusiastic, and confident? Do mountain climbers with me. I have them all timed out for you. Does it seem too hard? Start with 4 rounds or do them off a bench. Have you started making Fat Balls? I have one almost everyday. I had one this morning after the mountain climbers. They are packed with healthy fats! 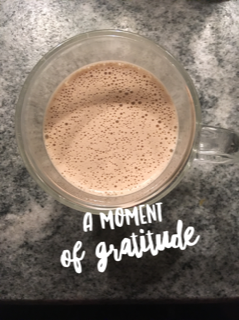 I added a scoop of cacao powder to the basic recipe. So Delicious! Energize the month of March! 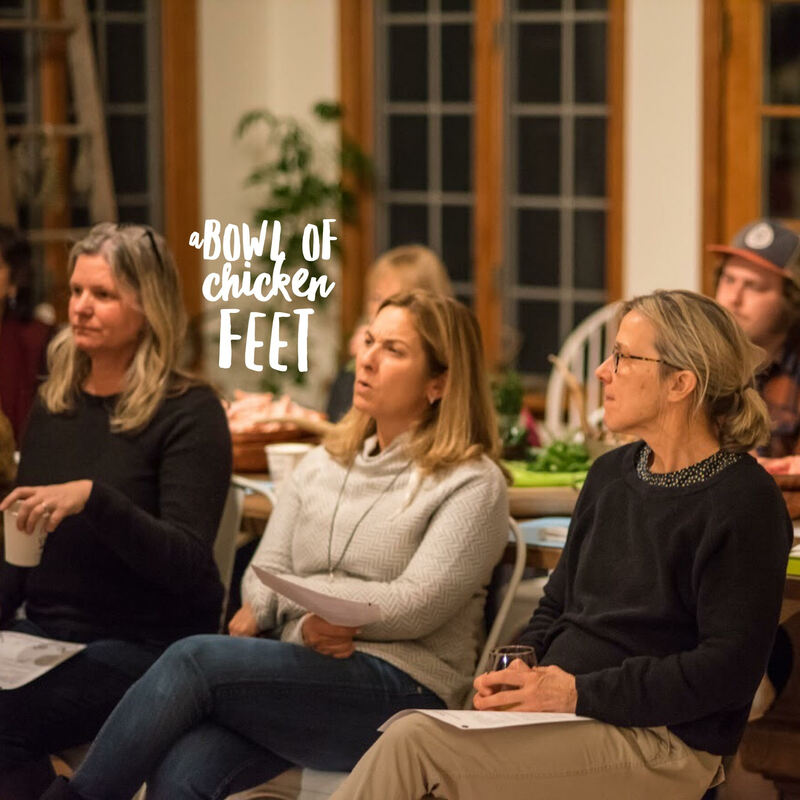 I went to a Bone Broth Workshop with a group of friends at Dutch Hill Homestead. It was a wonderful night. 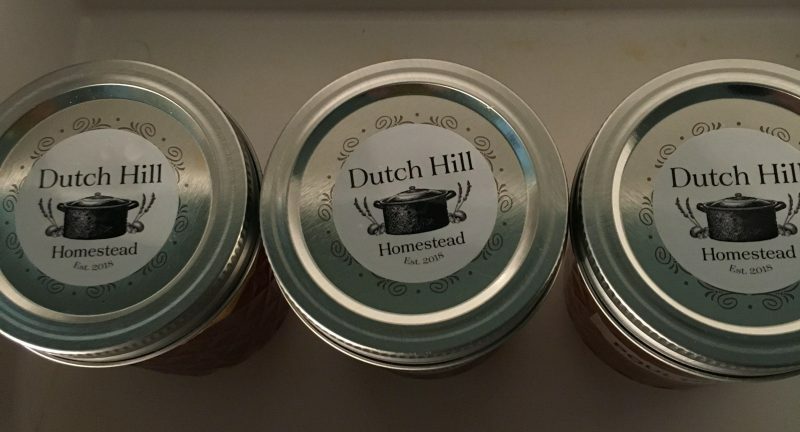 Dutch Hill Homestead is a homesteading lifestyle company created by Ally Dwyer and Rob Stenger. All the magic happens in their beautiful home built in 1860. Ally and Rob set up rustic farm house tables with all the ingredients we needed to make broth. I was most impressed by the bowl of chicken feet! Ally said chicken feet make the best broth! We even had vintage aprons to put on while we chopped vegetables and prepared to make our broth. They also had samples of broths they had already made. We tasted 4 different types of bone broth, wild game, beef, poultry and vegetable. Ally and Rob had many different spices and herbs that we could add to the broth samples to personalize them. I had the best time and came home with three different samples of broth. Bone Broth is so good for you. It is excellent for your joints, your hair, skin, nails and your gut! It is a great use of leftover vegetables and bones. Ally and Rob emphasized how they are a no waste household. I love knowing creative, energetic entrepreneurs that send you home with cute jars of bone broth! Bone Broth will make you feel fabulous! Wendy’s 90 Days to Fit and Fabulous! This morning Wendy came over for bulletproof coffee. She had just finished the 90 day Fit and Fabulous Gold Program, and was ready for her final weigh in and measurements. Wendy wasn’t overly concerned about her weight. Her main goal was to lose her menopausal pooch. She was feeling a bit matronly and pudgy around the middle. Her beautiful clothes were getting tight. BIG NEWS! She lost 2 inches off of her waist, and 1 inch off her hips! Wendy also lost 4 pounds. She has easily changed her habits and is confident that this will be a life long program. Wendy has committed to almost daily meditation, and is feeling centered and grounded throughout her day. It has been so great to work with Wendy. She started the program in good health. She was able to change a few habits and now her daily life is even better! Wendy is the youngster in my OutdoorFit program. 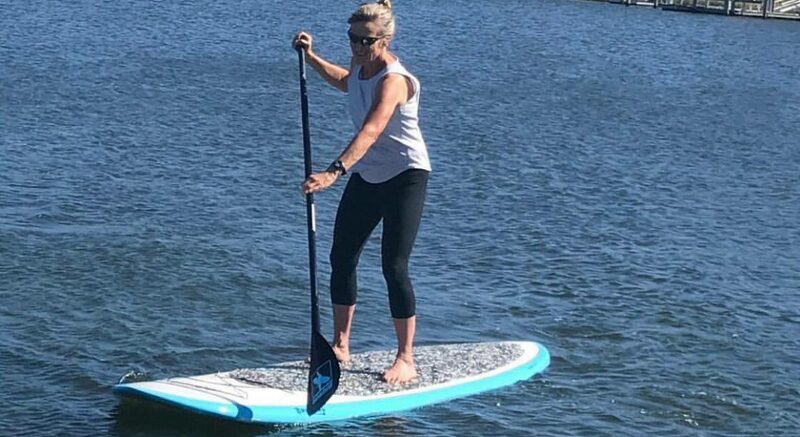 She is certainly Fit and Fabulous…Aging Optional! February is the perfect month to start the 90 Day Fit and Fabulous Gold Program. How would you like to feel 3 months from now? Energetic? Lighter? Vibrant? Reach out let’s have a conversation to see if the program is right for you. Wendy made me a Beautiful Wendy Cettina Design thank you scarf. The yarn is by Madeline Tosh. The color is Graphite and the pattern is Fractal Danger. How cool is that? Elena has lost 11.4lbs and 2 inches off her waist! Elena started the 90 Day Fit and Fabulous Gold Program the end of October. She was concerned about starting during the Holidays . It turned out to be the perfect time. Elena was suffering from back pain when she saw me doing a founder on Facebook. We connected and she joined my Program and is down almost 12 pounds and 2 inches off of her waist. Elena’s back is strong and she is feeling so much better! She really didn’t think she was going to enjoy OutdoorFit especially in the winter. She said the workouts under the trees brings her joy and happiness! The Winter Warrior season is the Best! I am enjoying the 30 day Challenges. I love the concept of the 4 minute workout. You can challenge yourself and experience result in only 4 minutes! 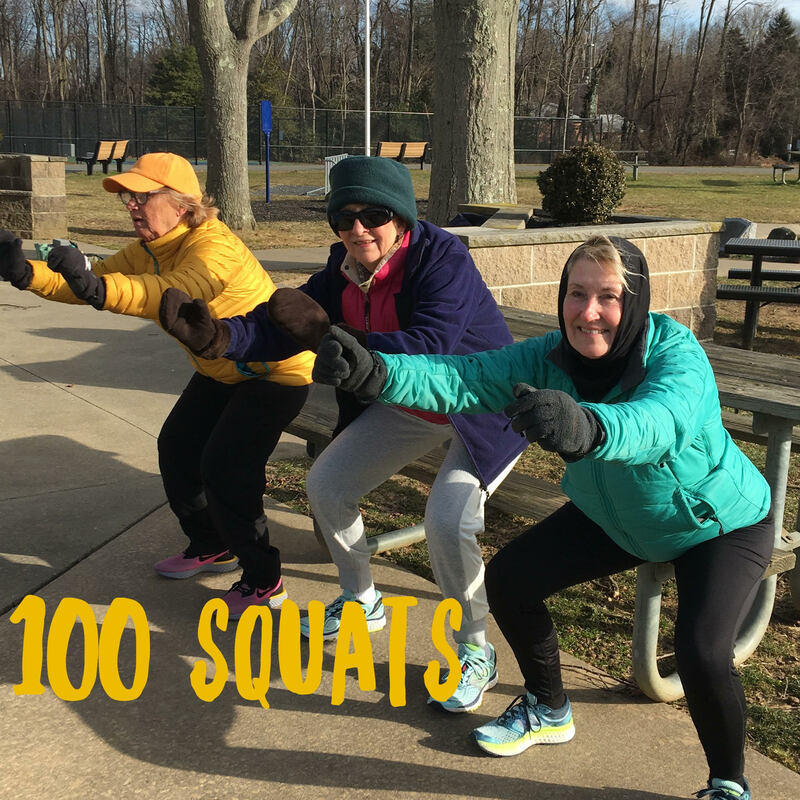 We finished our 100 day squat challenge today. The 30 day 8 point plank challenge was so effective that I am bringing it back in February. I am also energizing January with Mountain Climbers. 4 minutes! 8 Rounds! 20 seconds on 10 seconds off. Would you like to join in? Head over and like my Facebook Page. The Mountain Climber Fun is happening there! Enthusiastic, Energetic, Vibrant and Wrinkled. I have lost ten pounds, my face is looking a bit drawn, and I am noticing my wrinkles so much more. What can I do? I am 64. 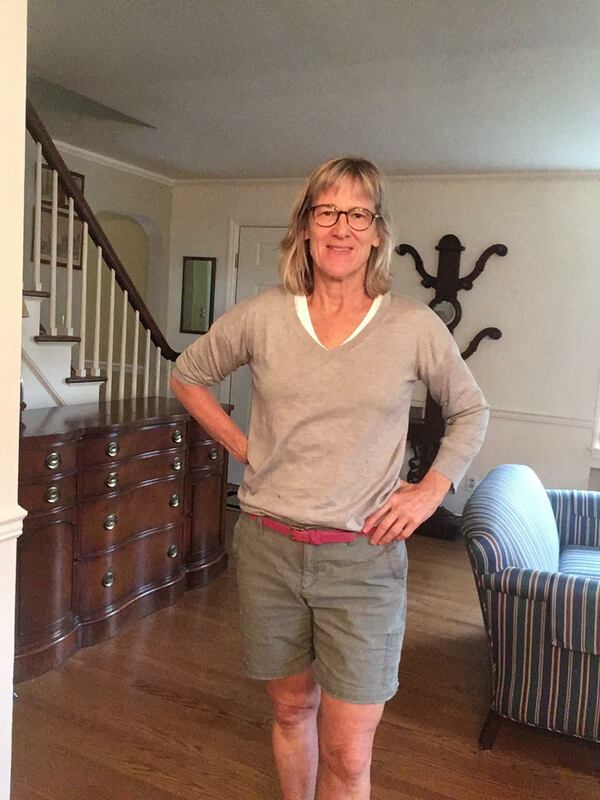 I am so grateful that I have lost the weight that I put on during menopause. I am Fit and Healthy. What are a few wrinkles? 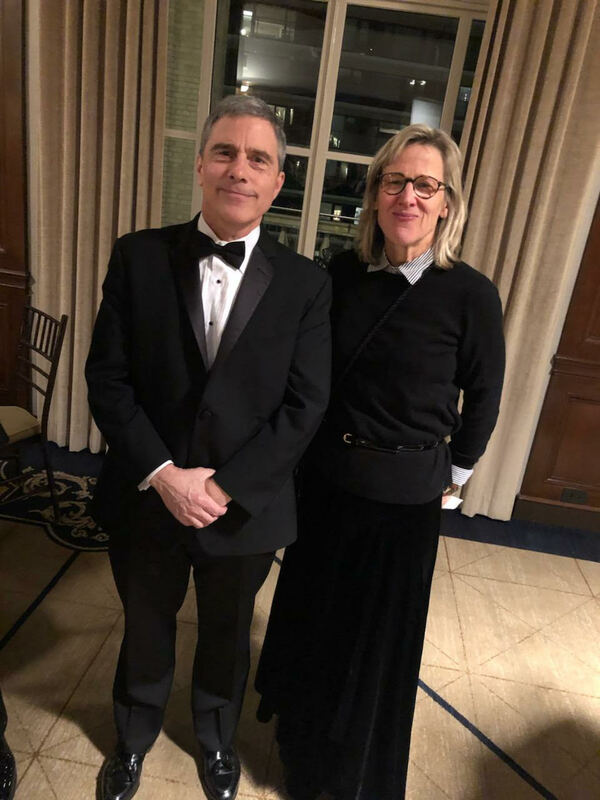 This weekend Dan and I went to a black tie wedding . I was so grateful that I could fit into a skirt that I wore to my son’s wedding 11 years ago. We look like we belong on top of a cake! I have been debating with myself whether or not I should post this video. I will be honest it was a little upsetting to see myself looking so wrinkled. But, this is not all about me. It is about Ivone, who is doing great on my 90 Day Fit and Fabulous Gold Program. She is feeling so much better and is getting stronger while losing weight at the same time! Go Ivone! It is all about your attitude, right? I have been reading High Performance Habits by Brendon Burchard. Yes, I want to be a High Performer at 64! Brendon recommends you coming up with three words that describe your Future Self. I have been thinking about it. Enthusiastic, Energetic, Vibrant are the three words that came up. My New Year’s word is Positivity. It all works together. This morning, I was driving to OutdoorFit feeling a little flat. It was cold and windy this morning and I remembered my words. It helped and we had a great workout. Think about your three words for your Future self and let me know what comes up for you. Do you want to feel enthusiastic, energetic and vibrant? Are you interested in learning more about my 90 Day Fit and Fabulous Gold Program? The program will get you started! What small thing can I do to change my myself for the better today? What small thing can you do today to have a better day? Slow down and take time for creativity. I really enjoy it when I take time for creativity. I love it when I take the extra steps to make something special. It creates coziness in my life. 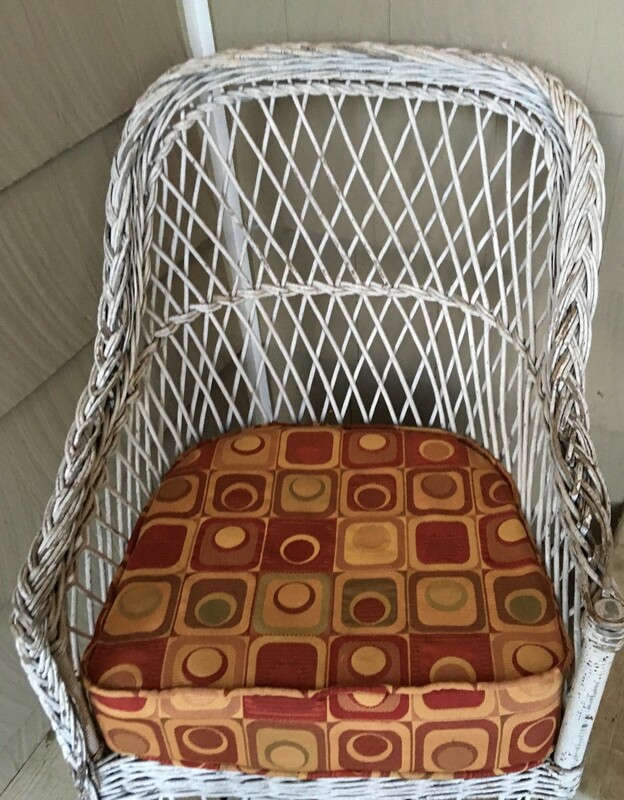 Last weekend, I replaced an old worn cushion cover on an outside antique wicker chair. I was thinking I don’t have time, but I can make time. It took me a few hours but I did it. I was then motivated to sweep the porch off. Next, I added some extra greens and dried hydrangea from my garden to the generic wreath hanging on the door. Now, every time I come into my house it makes me happy. Trust in my own decisions. I am recovering my dining room chairs. I found two fabulous grain cloth fabrics on Etsy. Now, I need to decide which one to use. Either one will work. So, what do I do?? I text a friend and say what do you think? She said give it the weekend and pick the one I like best. She knows me too well! So much harder for me but of course it is the right answer! Organize. This is huge for me. Last Sunday, I got up, cleaned the refrigerator, wrote out the dinners I wanted to make for the week, and made a shopping list. I actually stuck to the meal plan each night this week. It has been so freeing. I know what I am making and I have the ingredients! I have leftovers that I put in ball jars for lunches. It is so efficient and calming. Next step is to organize other areas of my life. What if I made a to do list for my business? I am sure successful entrepreneurs have a plan written out not just ideas in their head. Meditation. I am always saying I am going to meditate. I am getting better at being consistent with this, and I am beginning to feel a difference in my body. It is very grounding. 20 minutes meditation daily is a wonderful intention for December. Take time to get quiet. Eat Well. Stay off the grains and sugar. This no longer feels like deprivation, which is a miracle. That is a whole other blog post. I set the intention not to have dessert and it works. December is a time of celebration and I can enjoy without going crazy eating treats that I don’t really want. Exercise. I exercise. I teach OutdoorFit 5 times a week. It is also important for me to walk daily. George the dog is in my heart and is with me on my walks. What changes would you like to make in December? Exercise more, eat well, meditate. If you feel overwhelmed, start small. Focus on one little area and complete a small task. It builds momentum and you will feel like doing more. It will bring peace and joy. Enjoy the Season, It is the most wonderful time of the year.